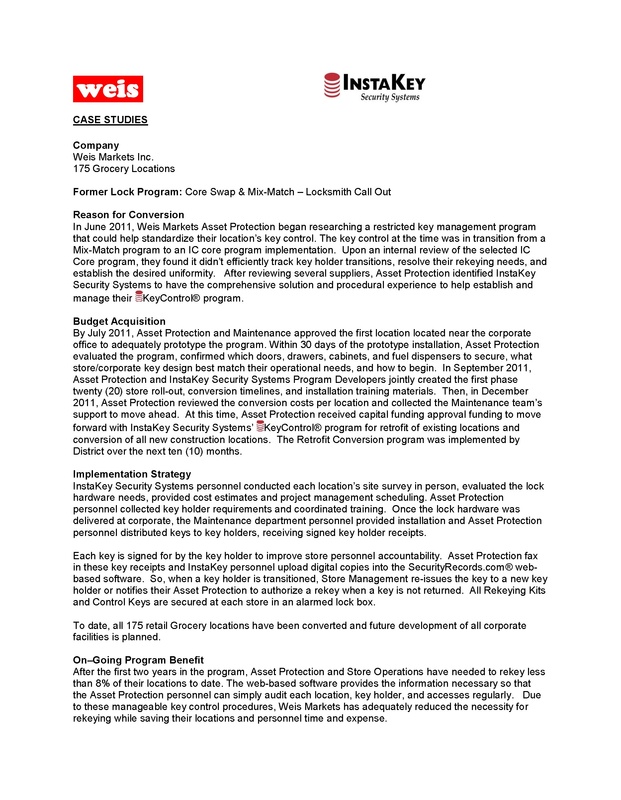 In June 2011, Weis Markets Asset Protection began researching a restricted key management program that could help standardize their location’s key control. The key control at the time was in transition from a Mix-Match program to an IC core program implementation. Upon an internal review of the selected IC Core program, they found it didn’t efficiently track key holder transitions, resolve their rekeying needs, and establish the desired uniformity. After reviewing several suppliers, Asset Protection identified InstaKey Security Systems to have the comprehensive solution and procedural experience to help establish and manage their Key Control program.